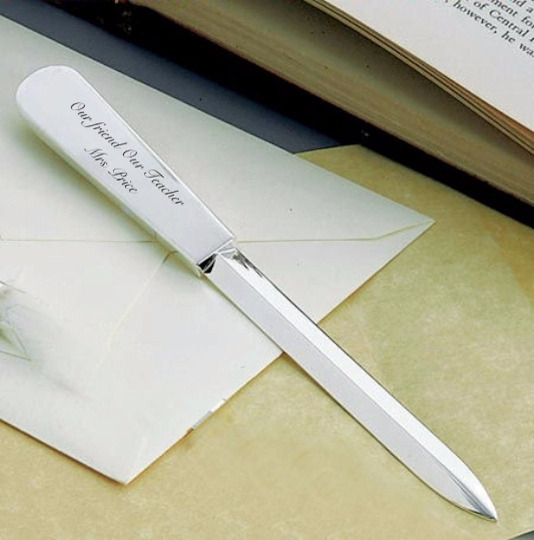 This custom engraved silver plated letter opener is a great personalized gift for a a Teacher can be monogrammed for a Graduate, co-worker at the office or for your home office. It also makes a great recognition gift that will make a great addition to any desk or work space. 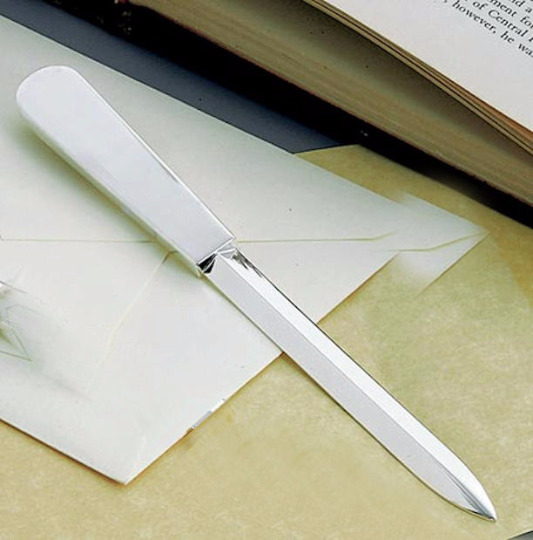 This classy "Silhouette" letter opener features a plain sleek handle. It measures 7.25" L and has a bright shiny nickel plated finish that will not tarnish. The handle can be monogrammed (engraving optional) to personalize this gift. Packed in green box.